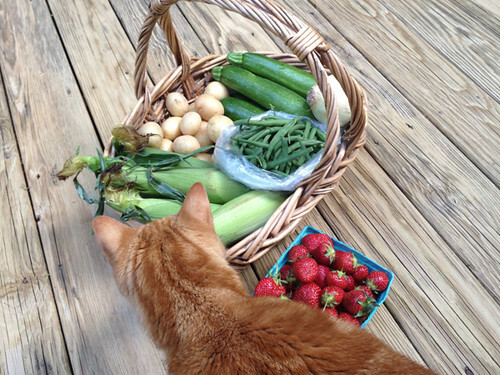 One of the perks of living in the Philadelphia area was the ease of access to locally grown food; within a five mile radius of our apartment there were at least 5 farmer's markets, each sporting different local farms' bounty. I was actually concerned about how much more difficult it would be to find local fruits and vegetables once we moved back to New Jersey, but apparently I didn't have much to worry about. 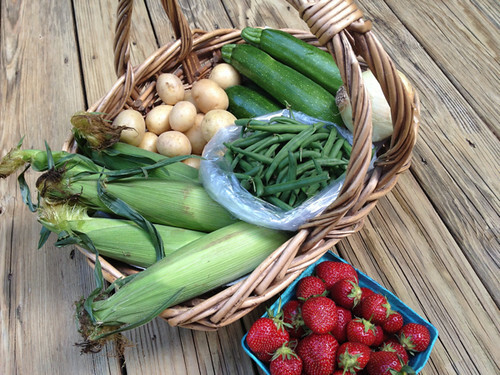 I was already aware of one farm near us that lets you pick various fruits and vegetables throughout the year. 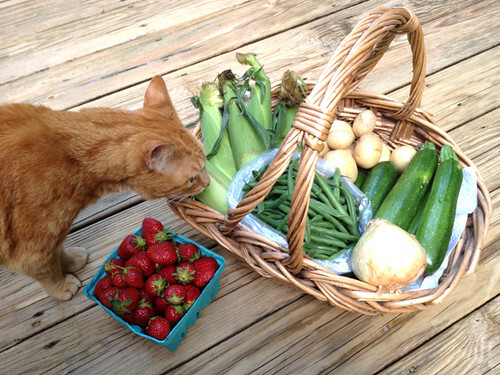 Then I found out about the website LocalHarvest.com, which makes it exceptionally easy to find farms/farmer's markets/CSAs/specialty-food-stores nearby. I found out that there's a farmer's market every Thursday one town over, and there are at least three farms within a 15 mile radius of here that have farm markets open daily, serving their own or other local farms' goods. So whether you're craving vegetables, stone fruit, berries, or even herbs - someone in the area has got you covered. Curious cats. They can't get enough of food. ** Not a proven fact. At all.